The battle between the Sierra Club and Harold Simmons' Waste Control Specialists nuclear disposal site is intensifying as Andrews County joins the fray with a lawsuit against the environmental group. 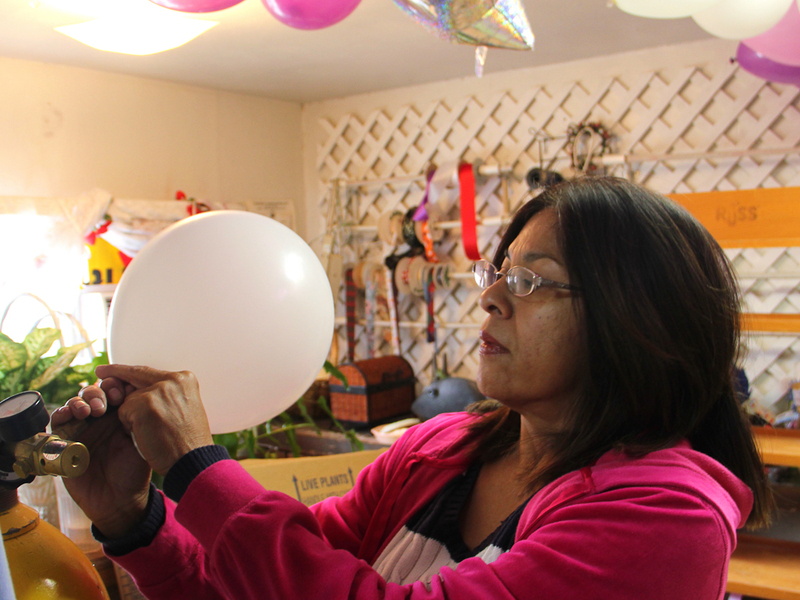 Rose Gardner inflated balloons for her grandson’s birthday party recently at her floral shop in Eunice, N.M., and talked about nuclear waste. The Sierra Club is suing on behalf of Gardner and two residents of Andrews to have its claims heard in court. In legal action against WCS dating to 2007, the Sierra Club has challenged the company’s state environmental licenses because of the discovery of groundwater in some of the waste disposal site’s 520 monitoring wells. But officials with the company, which is owned by the Dallas billionaire Harold Simmons, say the site is safe. And Andrews County has joined the battle, suing the Sierra Club in a bid to end its legal claims. The 15,000-acre site began receiving radioactive material in April. 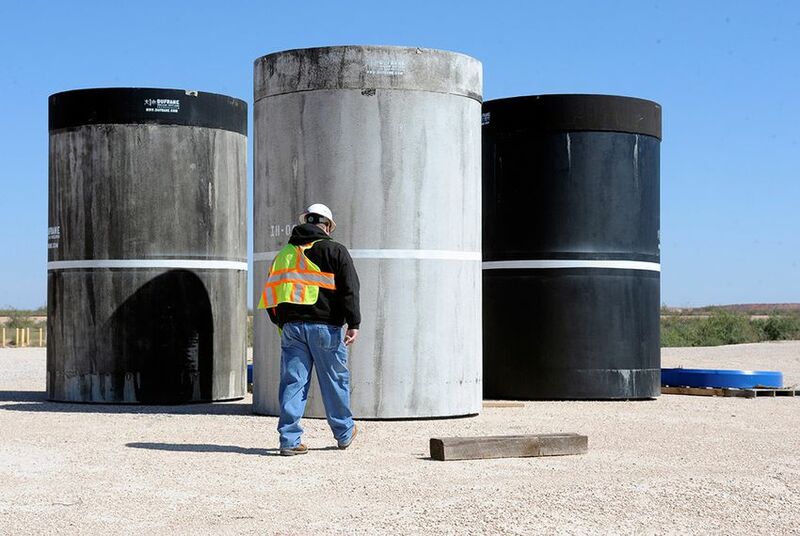 It has multiple disposal areas, including one for waste producers involved in the Texas Low Level Radioactive Waste Disposal Compact, which encompasses Texas and 35 other states. Cyrus Reed, the director of the Sierra Club’s Texas chapter, said the site’s hydrogeological status was still uncertain and that water in Waste Control Specialists wells might mean that having radioactive material there was dangerous. The site, he said, is close to the Ogallala Aquifer, a major source of drinking water, and there are concerns that radioactive materials could seep into it. WCS officials say the Sierra Club is simply opposed to all things nuclear. This layer of red-bed clay, 25 to 40 feet below ground level, is the key to the disposal process, Waste Control Specialists officials say. Pits are dug in the clay and lined with concrete to contain waste, which is stored in concrete cylinders. The pits contain a water-management system that pumps rain and groundwater away from the materials into a water treatment plant, then to a man-made pond. The Texas Commission on Environmental Quality granted the company initial licenses in 2007 after conducting geological studies of the area. Three staff members at the commission resigned in protest after the licenses were granted, saying they did not believe the area had been proved safe for waste disposal. In August, Andrews County sued the Sierra Club, seeking to end its legal claims and public statements against the site. The county says the Sierra Club’s actions have scared off potential business from waste producers and have disrupted a valuable revenue stream for the county, which receives 5 percent of the company’s gross receipts. WCS made its first payment (about $620,000) to the county in August. In a recent deposition, Andrews County Judge Richard Dolgener, who heads the county’s commissioners court, said the company had told the county it was losing money because of the Sierra Club’s actions; its lawyers met with county officials before the county sued. Sierra Club lawyers say Andrews County’s action amounts to a strategic lawsuit against public participation, or a SLAPP suit, which is illegal in Texas. But Lloyd Eisenrich, the president of the Andrews Industrial Foundation, which has joined the lawsuit against the Sierra Club, said the suit was about residents of Andrews County, not about the county or Waste Control Specialists trying to silence the group. Rose Gardner inflates balloons in her floral shop in Eunice, N.M., five miles from the radioactive waste site operated by Waste Control Specialists, on Oct. 7, 2012..
Eunice, the town closest to the WCS site, is five miles from the site’s location on the Texas-New Mexico border in an area some call the Nuclear Corridor. Urenco, a uranium enrichment plant, sits next to the Waste Control Specialists site, and other nuclear facilities occupy the region. Gardner said she worried that more nuclear-related facilities would locate near Eunice. She has undergone radiation treatment for thyroid problems, she said, and is concerned about further exposure. The WCS site is the only one in operation to serve the Texas compact. Examples of waste at the site range from mildly irradiated bodies of rats used in medical testing at Texas A&M University to radioactive components of nuclear power plants. Chuck McDonald, a spokesman for WCS, called the rats an example of the site’s importance. There are things WCS does not accept, including liquid waste, John Ward, an operations project task manager at the company, said of the stereotype of nuclear waste as green ooze. “That’s a Homer Simpson thing,”he said. Ward said the site also did not take highly irradiated material like fuel rods. WCS claims its safety precautions make its site the most secure in the country for disposing of low-level radioactive waste. But Gardner said the Sierra Club’s suits were meant to put everything in the open.